Hank Lazer ~ "'to make equality less drab': The Writing of Bruce Andrews"
Joshua Liebowitz ~ "'finite until': Toward a Self-Organized, Highly Flammable Syntax"
Stacy Doris ~ "After Language Poetry"
Kevin Killian ~ "What I Saw at the Orono Conference 2008"
Joseph Lease ~ "Progressive lit. ": Amiri Baraka, Bruce Andrews, and the politics of the lyric "I"
John Parras ~ "Exploding the Sentence: the Poetic-Political Prose of Bruce Andrews"
Cris Cheek ~ "hedge fun (for Bruce Andrews)" & "back up 1 (4 Bruce Andrews)"
J. Gordon Faylor ~ "Guestbook/Note"
Charlie Morrow ~ "SPELL Bruce"
Jerry Rothenberg ~ “Language”: poem for C.B. & B.A. Andy Sterling ~ "SI FOG" & "The Valley Rose"
Edwin Torres ~ "Proto Messianic Wonton"
Transcript of O'Reilly vs. B.A. Dirk Rowntree ~ five sections of Prehab, text-graphic collaboration: "Escape" & "Random" & "Colloquial" & "Handy" & "Girlfriend"
"I guess I was black" + "memory divisive" + "cancelled" + "doublecross" + "prefix me"
Poet, essayist, and theorist, Charles Bernstein is a formative member and leading practitioner of Language writing. Between 1978-1981, with Bruce Andrews, he published L=A=N=G=U=A=G=E magazine, which became a forum for writing that blurred the boundary between poetry and critical writing about poetry. Bernstein has published dozens of books, including poetry and essay collections, translations, and libretti. His poetry has been widely anthologized and translated, and it has appeared in over 500 magazines and periodicals. From 1990 to 2003, he was David Gray Professor of Poetry and Letters at the State University of New York at Buffalo and Director of the Poetics Program, which he co-founded with Robert Creeley. 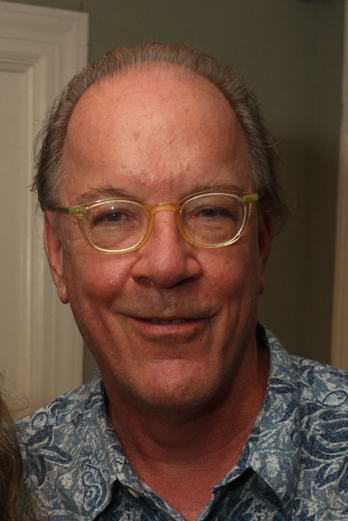 He is co-founder and co-editor of Penn Sound, an extensive archive of recorded poetry. Bernstein is currently Donald T. Regan Professor of English and Comparative Literature at the University Pennsylvania. In 2006, he was elected a Fellow of the American Academy of Arts & Sciences. Michael Golston is Associate Professor of English and Comparative Literature at Columbia University. He specializes in 20th-century poetry and poetics and modern cultural history. He is especially interested in avant-garde and experimental writing, and has published articles and reviews in American Literary History, Paideuma, Textual Practice, and Modernism/Modernity. He also has essays in two collections: American Modernism Across the Arts and New Definitions of Lyric: Theory, Technology, and Culture. His first book, Rhythm and Race in Modernist Poetry and Science (Columbia University Press), won the Louis Martz Prize for 2007. He is currently working on a book about allegory, surrealism, and postmodern poetic form. Laura Hinton is the author of The Perverse Gaze of Sympathy: Sadomasochistic Sentiments from Clarissa to Rescue 911 (SUNY Press), as well as a poetry book, Sisyphus My Love (To Record a Dream in a Bathtub) (BlazeVox). She is also the co-editor (with Cynthia Hogue) of We Who Love to Be Astonished: Experimental Women’s Writing and Performance Poetics (University of Alabama Press). Her critical essays, poet interviews, reviews as well as poetry have appeared in Contemporary Literature, Feminist Studies, Postmodern Culture, Textual Practice, Women’s Studies, Jacket, The Journal of the Academy of American Poets, How2, and others. She is Professor of English at the City College of New York. Peter Nicholls is Professor of English at New York University. He has published widely on twentieth-century writing, with recent works including Modernisms: A Literary Guide (2nd ed. 2008) and George Oppen and the Fate of Modernism (2009). He is especially interested in connections between American and European poetry, and in the political and economic dimensions of literary texts. His many books also include Ezra Pound: Politics, Economics and Writing, the co-edited volumes Ruskin and Modernism (2001), Europa! Europa? The Avant-Garde, Modernism and the Fate of the Continent (2009) and On Bathos: Literature, Art, Music (2010), as well as many articles and essays on literature and theory. He co-edited with Laura Marcus The Cambridge History of Twentieth-Century English Literature and is currently U.S. editor of the journal Textual Practice. Poet, critic, and translator Bob Perelman is the author of more than a dozen poetry collections, including a.k.a. (1979), Ten to One: Selected Poems (1999), and IFLIFE (2006). He collaborated with his wife, the painter Francie Shaw, on Playing Bodies (2004). Perelman has also published the critical studies The Trouble with Genius: Reading Pound, Joyce, Stein, and Zukofsky (1994) and The Marginalization of Poetry (1996). His translations appear in The Selected Poems of Tomaz Salamun (1988) and Modern Archaist: Selected Poems of Osip Mandelstam (2008). Perelman edited two anthologies of speeches by poets: Talks (Hills 6/7) (1980) and Writing/Talks (1985). His own work has been featured in numerous anthologies, including Postmodern American Poetry: A Norton Anthology (1994), Onward: Contemporary Poetry and Poetics (1996), and several editions of Best American Poetry. Perelman teaches at the University of Pennsylvania. Paul Stephens earned a PhD in English from Columbia University and currently teaches at Bard College. He has essays in numerous periodicals and edited collections, including Don’t Ever Get Famous: New York Writers After the New York School (edited by Daniel Kane (U of Illinois P), Fulcrum, Social Text, Rethinking Marxism, Open Letter, and Postmodern Culture. He has also presented collaborative writing and photomontage with Robert Weston at the Guggenheim Museum. For the 2009-2010 academic year, he was selected for a junior faculty fellowship in poetics at Emory University. He is currently completing two book manuscripts: The Rhetoric of Literary Experiment and Minima Temporalia: Reflections from Diminishing Time.